The day after the great storms of February, 2010, there were waves of record-breaking height all along the California coast. 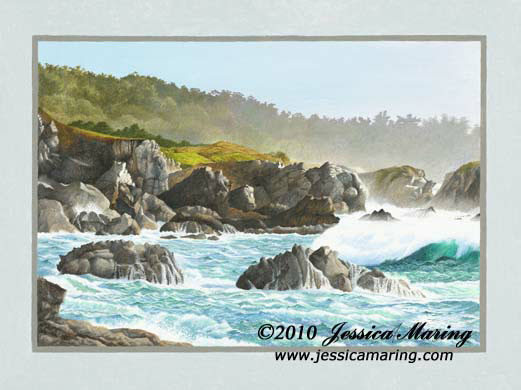 This is the last cove at Point Lobos, between Big Sur and Carmel. It was late afternoon when I took the photos for this painting, and a misty fog was standing just offshore and drifting up into the hills, as great waves rolled into the little cove.